I have just discovered a great game. In fact, it goes beyond that of a mere game and into the realm of art. The game is called “Braid” and the best way I can describe it is that it’s a cross between Super Mario Brothers and Memento. Each level deals with the effects of time manipulation. Pressing shift reverses time so you cannot “die”. . . . but there are unintended side effects from this (you’ll know once you play the game). Other levels manipulate time by moving forward when you move to the right and moving backwards when you move to the left. It’s a trip. 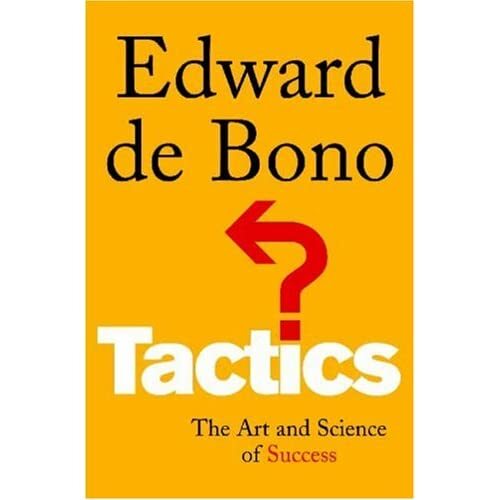 The above is another DeBono book that I put on order. I really enjoyed Lateral Thinking and Six Thinking Hats . I’ll let you guys know what I think of this one when I get/read it. Problem is Model Printing takes such a large slice of my day. Arrggh. . .